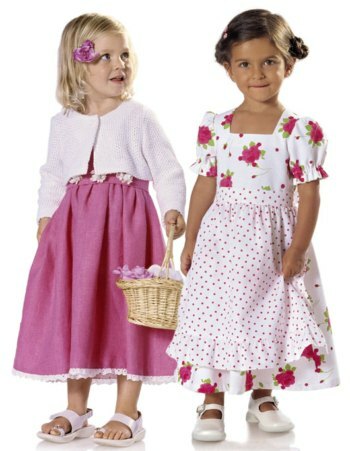 Dresses buttoned at the back and with gathered skirts. Sleeveless dress (A) is in folklore style, with tie-band, contrasting-colour floral decoration and hem frill. 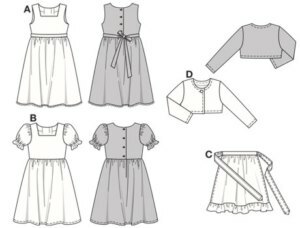 Sweet dress B has puff sleeves and will turn into a traditional ”Dirndl” when teamed with apron C. Short little jacket D in knit-fabric is practical for putting on when it gets chilly.